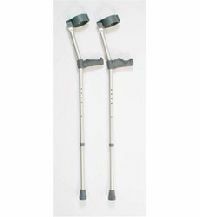 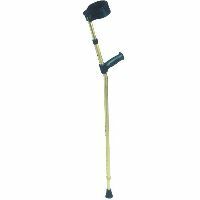 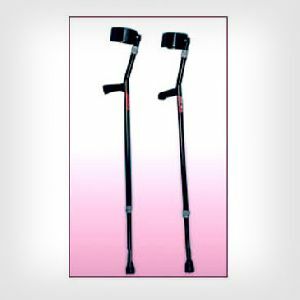 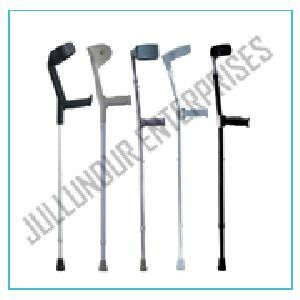 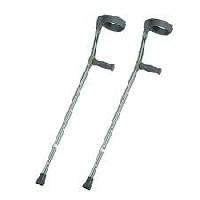 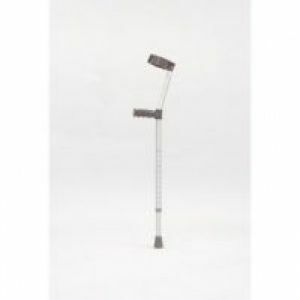 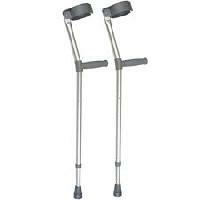 Elbow Crutches - Height Adjustable, Aluminum / Chrome Frame, Sturdy Handle, Anti-slipping bushes. 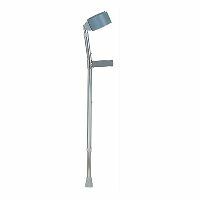 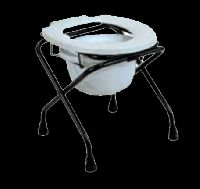 Made from lightweight Aluminum. 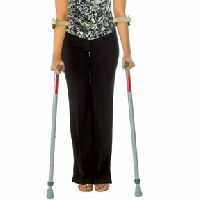 One piece molded plastic cuff and handgrip assembly for improving balance, reduce hand and wrist fatigue. 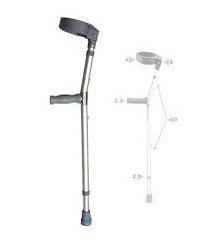 Push button adjustment for elbow height. 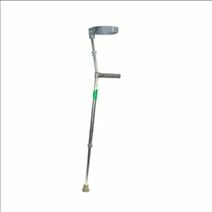 Non - slip pivotal design for better and angular ground grip. 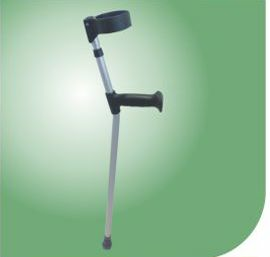 A well known Adjustable Elbow supplying company.